The beauty of cooking the Italian way is that it can be perfectly simple. All you need is a few high-quality ingredients to make a quick, delicious meal. Today we have a simple pasta dish that is both filling and comforting. And it’s done in a snap! Let’s get cooking. While pasta cooks, use a back of a fork to mash roasted garlic cloves. Return cooked pasta to the warm pot. Add mashed cloves, parmesan cheese, and a generous drizzle of olive oil. Mix, letting cheese slightly melt into the pasta. Buy a wedge of Parmesan-Reggiano cheese and grate just before cooking. Freshly grated is the best! Use a pasta that will really pick up the cheese, olive oil, and spices. The above recommendations are our favorites for this recipe, but you can also use capellini or vermicelli. 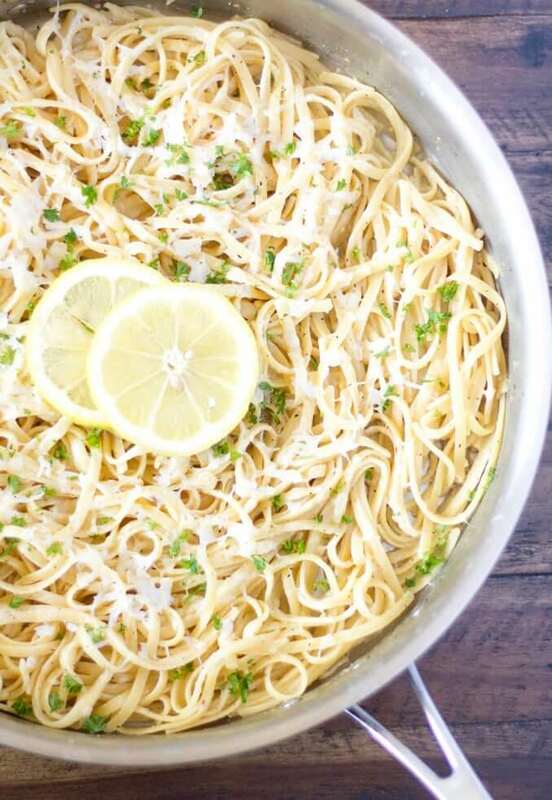 Save time: grate the cheese and mash the garlic while pasta is cooking. Serve with wine! For this cheesy pasta dish we recommend a full-bodied white or a light-bodied red. Try a Sicilian Chardonnay or a Langhe Nebbiolo for a perfect pairing. Pingback: Which Wine For My Pasta Dish? Sometimes we leave the parmesan rind in while boiling pasta water!